One of the less talked about but no less exciting cars of the Beijing Motor Show is this Lexus of China-built CT BG 200h. Customized with a “more personalized design language,” the concept looks the part of a racer with its carbon-fiber exterior bits and bespoke paint job. 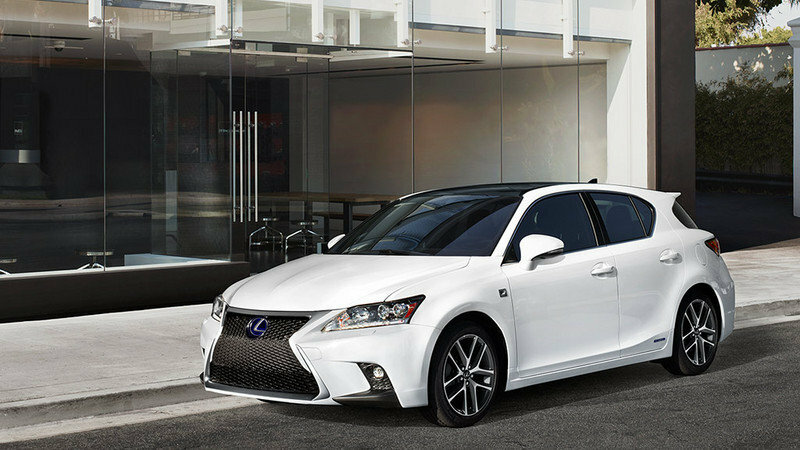 The concept is based on the 2014 Lexus CT 200h F Sport, though this finished product drastically builds off the stock car. The large spindle grille has new mesh, while the front chin splitter is much larger and includes little winglets on corners. The added aero work continues around the side with finned rocker panels and finned rear bumper edges. Out back, the carbon-fiber rear fascia is much more aggressive in looks and functionality. Topping the car is a carbon-fiber wing mounted atop the rear hatch for additional downforce. 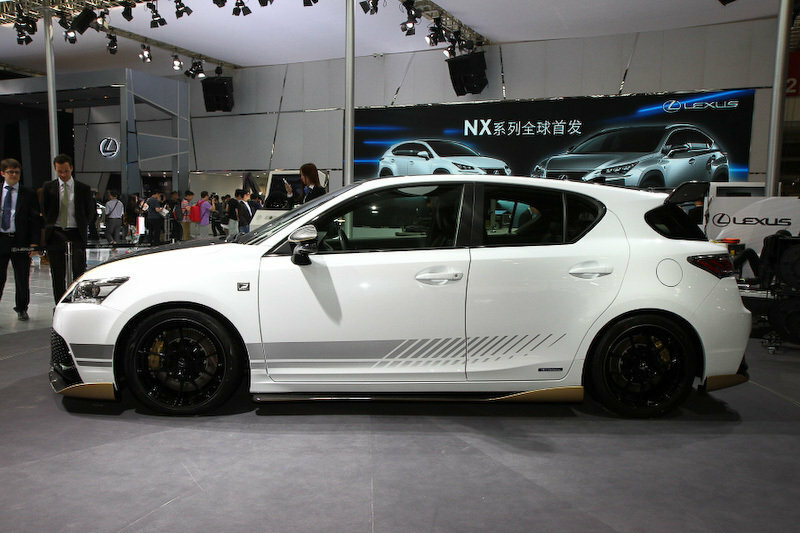 The unique black and white paint scheme accented with gold stripes and black thin-spoke wheels, give a whole new look to the otherwise average CT 200h. The décor inside the concept is of a similar motif, sporting carbon-fiber pieces and continuing the exterior color combination. Unfortunately, Lexus hasn’t mentioned anything about matching the exterior’s racy theme with more horsepower or a retuned suspension. 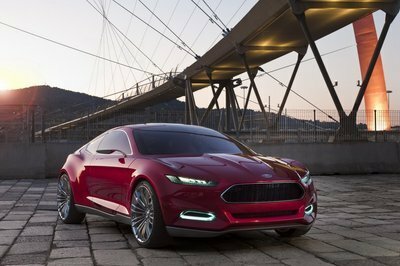 Looks like the concept — which it will likely stay — must make do with the ho-hum 134 horsepower from the 1.8-liter I-4 and the hybrid drive system. That means 0-60 times will still take 9.8 seconds and its top speed will be limited to 113 mph. 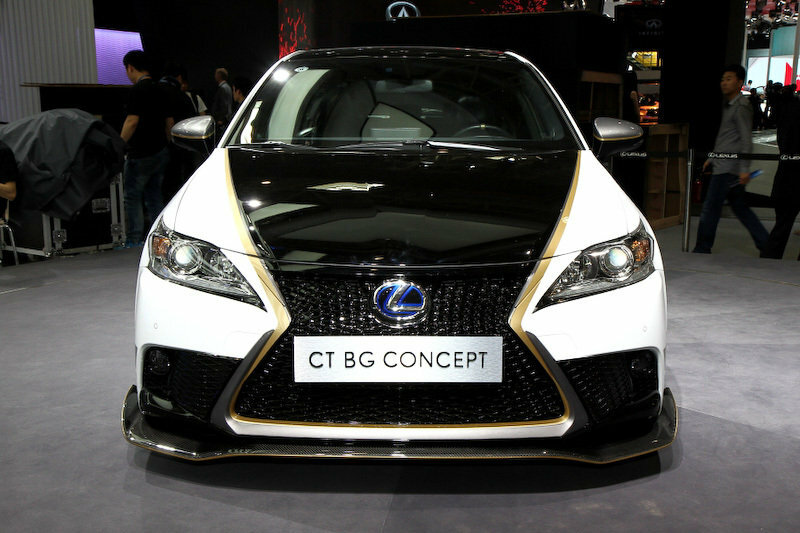 Click past the jump to read more about the Lexus CT BG Concept. 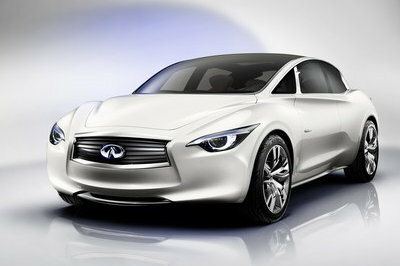 The tri-tone paint, modified grille and chin spoiler all make the front of this concept look the part of a racer. Too bad the CT 200h F Sport doesn’t have the gonads to back up the looks. 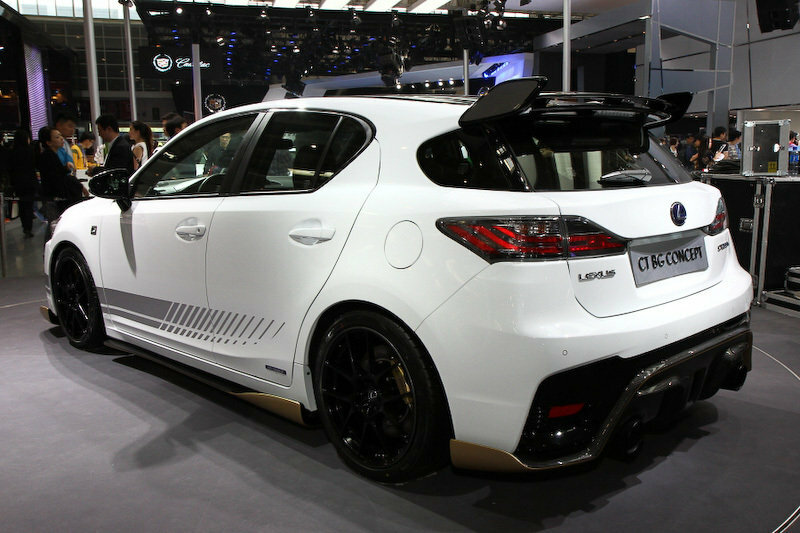 The thin-spoke wheels, side skirts and lower graphic all add a little extra flare to the CT. Fortunately, Lexus went with toned-down rims for this concept, because they fit it really well. The CT 200h F Sport is a mixed bag of tricks. Its exterior design gets hyped up over the non-F Sport variant, but nothing changes under hood. 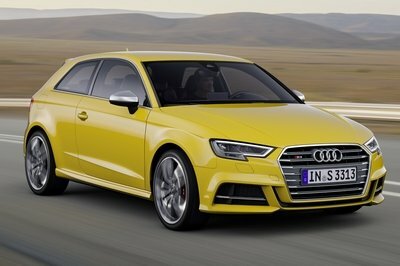 It still comes equipped with the 1.8-liter inline four-cylinder producing a modest 134 horsepower. 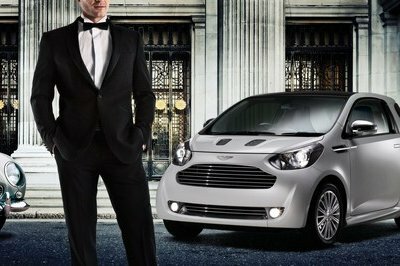 While its power output hasn’t changed, its fuel efficiency has improved to 43 mpg city, 40 mpg highway and 42 mpg combined. 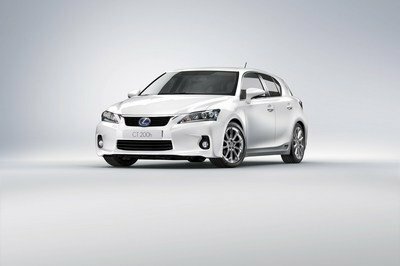 The CT 200h did get a refresh for 2014 to include Lexus’ update and more aggressive styling that includes the hotly debated spindle grille. Looks are subjective, but generally it’s received with positive comments. Pricing for the CT 200h F Sport starts at $35,230 and rises over $40,000 with the long list of available options.